Dental implants are one of the most sought after options for tooth replacement. With a number of advantages, dental implants provide a long lasting solution for replacing missing teeth. Among the advantages of dental implants is how easy it is to care for them and maintain dental hygiene. This however does not mean that they cannot be damaged or will not be affected by other oral problems. Certain conditions can put your implants in danger of early failure, but if these conditions are prevented with proper care or treated quickly with effective care, your investment in implants can last for a very long time. Poor Oral Health: A common misconception is that dental implants do not require regular brushing or flossing, however that is far from the truth. Failing to take proper care of your teeth, can affect your implants, your gums and even your overall health. Poor health and poor overall health can prevent implants from properly integrating. Gum Disease: Even with implants, plaque can build up on the surface of the tooth leading to a bacterial infection of the gums, also known as periodontal disease. For people with implants, a form of gum disease known as peri-implantitis can occur. In peri-implantitis the gum tissue surrounding and supporting the implant become infected, weakened and can cause bone loss and implant failure. Be careful to maintain a proper oral hygiene routine with twice daily brushing and daily flossing. Teeth Grinding: Teeth grinding or a habit of clenching teeth, known as bruxism, can also lead to implant failure. Teeth grinding often happen involuntarily as a result stress, anxiety, anger, frustration or sleep apnea. It typically involves the unconscious and repeated clenching or grinding of teeth, or biting down hard even when not chewing. In natural teeth, teeth grinding can wear down tooth enamel and cause teeth to become flattened, fractured, chipped or even loose. In dental implants, teeth grinding can lead to bone loss weakening the support around the implant or could even cause the implant to break. Using a bite guard while sleeping is one of the most effective ways to buffer the damaging force from repeated grinding. Dental implants are long lasting, but not indestructible. Committing to thorough brushing and flossing will prevent the accumulation of food particles, plaque and bacteria. Proper oral hygiene along with bi-annual dental cleanings and exams will help to keep your implants in the best condition. 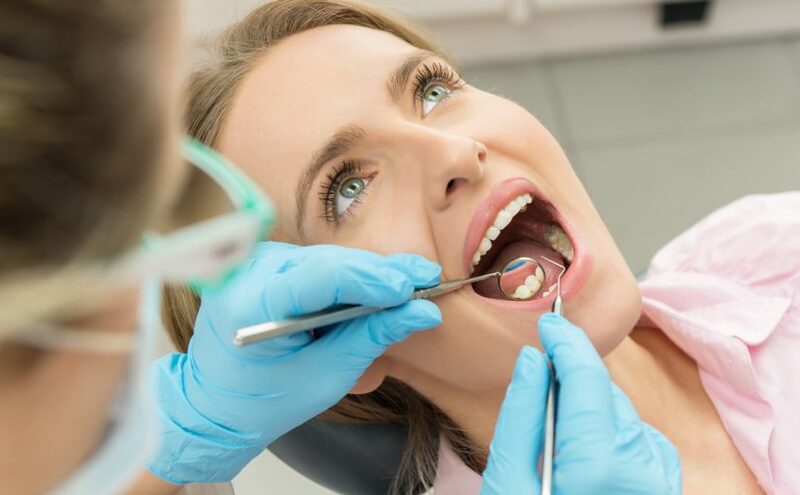 At a cleaning or checkup, your dentist will be able to identify potential problems including signs of peri-implantitis or bruxism and get your started on treating the problem before it can cause implant damage or failure. At Foutz Family Dentistry, we offer comprehensive dental cleanings for dental implants along with providing the high quality care needed to extend the life of your investment. For more information about ways to extend the life of your dental implants or to schedule a cleaning, call our office today at (702) 792-5929. Gum Disease And Heart Disease: Is There A Connection? Studies have shown a notable connection between gum disease and other larger health problems, such as heart disease. Plaque build-up, inflamed gums, and bacteria in the mouth can all contribute to heart attacks, making it extremely important to address gum issues quickly. Periodontal disease, more commonly known as gum disease, is an infection of the gums typically caused by build up of bacteria, plaque and tartar. Plaque is the bacteria on teeth that causes cavities, but it can also build up on the gums, leading to the beginning stages of gum disease known as gingivitis. Gingivitis is the mildest form of gum disease typically marked by swollen, inflamed or bleeding gums. When left untreated, gingivitis can advance to periodontitis. As the disease progresses, it will cause gums to pull away from the teeth while bacteria begins to destroy tissue and bone. How Does Gum Disease Cause Other Health Problems? When left to build up, these bacteria of the mouth can escape through the bloodstream reaching major organs and other areas of the body, which in turn can lead to other larger health issues. 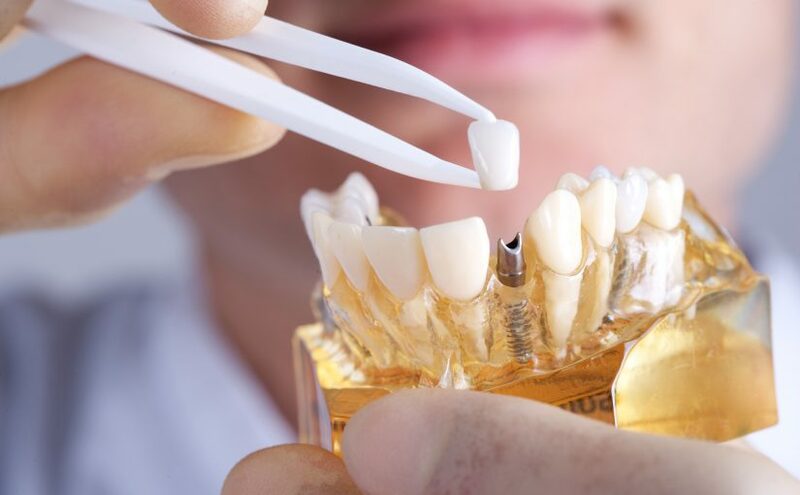 Although the exact connection is still unknown, inflammation is also thought to be the common link as the level of inflammation of the gums can increase the risk of inflammation elsewhere in the body. Inflammation is a key factor in many diseases particularly heart disease. Studies have continually shown a connection between poor heart health and gum disease. The correlation between inflamed gums or excess bacteria in the mouth and heart attacks continues to grow as people with poor gum health are two times more likely to have coronary artery disease than those with healthier gums. It is believed that gum disease can increase the risk of heart disease due to the combination of bacteria in the blood stream from inflammation of the gums, which can lead to narrowing of arteries. It is important to remember that not all patients with gum disease will suffer from heart disease, but it is still extremely important to treat gum disease before it has a chance to progress or worsen. Brushing and flossing teeth regularly, at least two times a day, is the first step to reducing the risk of periodontal disease and overall poor oral health. Mouthwash can also help to decrease the amount of bacteria in the mouth. A healthier diet low in sugar can also help to reduce plaque and bacteria build up. Gum disease cannot be treated with good oral hygiene habits alone. It is extremely important to maintain consistent and routine dental cleanings and examinations. A thorough cleaning every 4-6 months is the most effective way to remove plaque and tartar, while watching for signs of gum disease. Your dentist will be able to recommend specific periodontal habits to help and provide the most effective treatment. If you suspect gum disease, contact a dentist as soon as possible to avoid progression or other more serious health problems. Schedule an appointment at Foutz Family Dentisty in Henderson, Nevada to help get you on the path to healthy gums. Posted on October 23, 2018 November 14, 2018 Author webadminCategories Gum diseaseTags Dentist, Gum Disease, Heart Disease1 Comment on Gum Disease And Heart Disease: Is There A Connection? How Does Botox Help With Headaches And TMJ? Botulinum toxin, most commonly known as botox, is an injectable neurotoxin that is most associated with softening frown lines and smoothing wrinkles. However, Botox has a number of health benefits in addition to its aesthetic ones when administered correctly. Botox is often used as a treatment for headache and migraine relief in addition to treatment for jaw pain, jaw tension, and TMJ (temporo-mandibular joint) disorders. In 2010, the FDA (Food and Drug Administration) approved the use of Botox as a treatment for chronic migraines and has also been recognized as a viable treatment for other medical conditions such as TMJ, neck spasms and even overactive bladder. As a medical treatment, Botox is injected into the facial muscles affected with pain and discomfort and then works like a pain reliever as it binds to cramped muscle fibers and then causes them to relax. Botox blocks the chemical signals that indicate pain causing a temporary paralysis of the designated muscles and preventing those neurotransmitters from reaching the nerve endings around the head, neck, and jaw. Botox for the treatment of chronic headaches or jaw pain is most often quick and effective. A majority of patients report noticeable improvement within the first few days of treatment and relief within the first couple weeks. While patients may notice improvement following the first treatment, Botox is most effective in treating pain following a consistent number of treatment cycles. Patients often notice the greatest effect after the second or third treatment, with each treatment lasting for approximately 10-12 weeks. Botox is a non-surgical procedure that can be administered by a doctor and arguably more effectively by a dentist. A dentist is one of the most knowledgeable medical professionals in the oral and facial areas making them uniquely qualified in the administration of Botox injections. Dr. Barton H. Foutz of Foutz Family Dentistry in Henderson, Nevada is highly trained in head and neck musculature and has extensive knowledge and experience administering injections in and around the face. For years, Dr. Foutz has provided patients with therapeutic Botox injections that have provided invaluable relief from migraines, chronic headaches, TMJ tension, and jaw pain. For more information about Botox and how it can help with headaches or TMJ, call our office today at (702) 792-5929 to set up a consultation with Dr. Foutz. Posted on October 16, 2018 November 2, 2018 Author webadminCategories BotoxTags Botox, Medical Treatment9 Comments on How Does Botox Help With Headaches And TMJ? Those with sleep apnea experience shallow breathing while they sleep or may even stop breathing for a short moment. There are two types of sleep apnea, but obstructive sleep apnea (OSA) is the most common and occurs when throat muscles excessively relax and cause the airway to collapse. This then blocks airflow and affects breathing. This potentially dangerous condition affects over 18 million people in the United States and yet it is incredibly under diagnosed. Research has shown that sleep apnea can often be diagnosed quicker by a dentist or dental hygienist rather than by a person’s primary care physician. Tooth grinding and jaw pain are two of the first and most common dental of sleep apnea. Both result from a person reflexively tensing their jaw in their sleep as they body attempts to prevent the airway from feeling blocked. Both issues can lead to other problems such as worn or cracked teeth and pain when chewing. A person with sleep apnea is also likely to snore quite a bit, which can lead to redness in the throat or persistent dry mouth. During routine cleanings or dental checkups, a dentist or dental hygienist will likely notice if you have developed any of these signs or if they are continuing or worsening. While a dentist is able to identify the signs of possible sleep apnea and will likely be well informed, they are not able to make an official diagnosis. If a dentist is concerned that sleep apnea may be an issue, you will likely be referred to your primary care physician or a sleep disorder specialist for a sleep study. Dr. Barton H. Foutz and his team of experienced dental hygienists have sufficient knowledge about the signs of sleep apnea, along with years of experience to help identify a potential problem. If you are currently experiencing some of the above mentioned symptoms for sleep apnea, make an appointment at Foutz Family Dentistry today and we will thoroughly check your teeth, gums and mouth for the dental signs of sleep apnea. While Dr. Foutz is not able to make an official diagnosis or treat you for sleep apnea, he can help you get on the right path to address this condition. At Foutz Family Dentistry, we strongly recommend and encourage our patients to remain diligent about routine dental cleanings and exams. Doing so will not only ensure your dental and oral health, but can also help in identifying other potential health concerns. Call our office today at (702) 792-5929 to schedule an appointment.